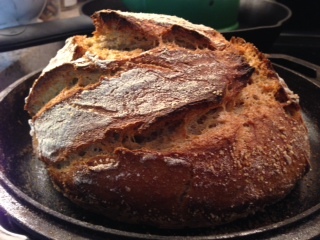 Bread Subscriptions beginning in February! Hooray! Hi Everyone! Happy New Year! 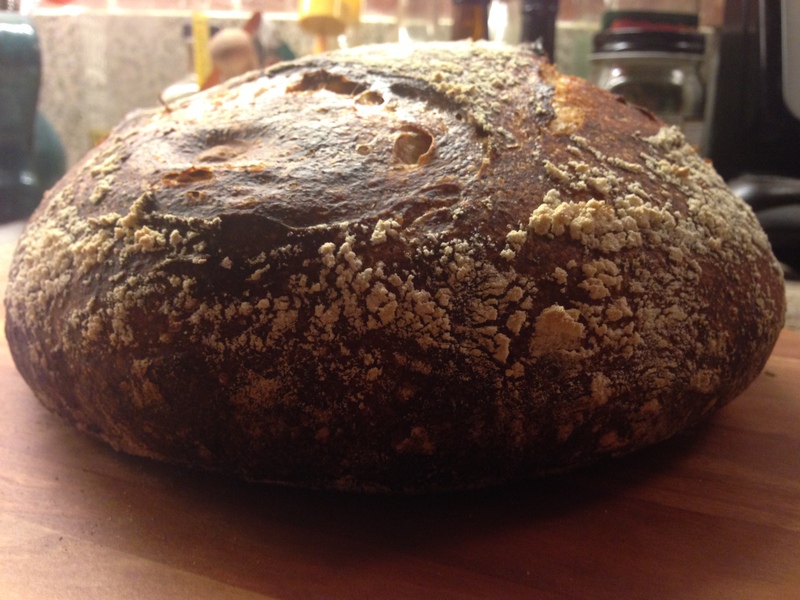 After several months of bread inquiry from friends, I have decided to offer a monthly ‘bread subscription,’ so that you all can have the freshest bread possible each and every week. I am able to include most of the Los Angeles and Pasadena areas at this point, so I apologize to those friends who live outside this general vicinity. Hopefully sooner than later I will be shipping. So stay tuned! My flour is freshly milled with the entire grain intact, undergoing a lengthly fermentation, made up solely of organic flour, wild yeast, salt, and water. There may also be a healthy local fruit or seed inside, depending on what nature brings. I will guarantee it be tasty, or your money back! So I am sure you may have a couple questions. Here, let me try to explain a bit more and then perhaps you will have the answers. A: I mean that you can get one loaf of fresh bread delivered to a place that’s near and maybe dear to you, each and every week for a month straight. Or even more, if you decide to renew. And it isn’t limited to one loaf either. You can get 2,3,4 loaves of bread each week, to suit your fancy. If you are going away, or need to skip a week, I just need 48 hours notice. More details on that in the text below. Q: When is bread ready for pick up? 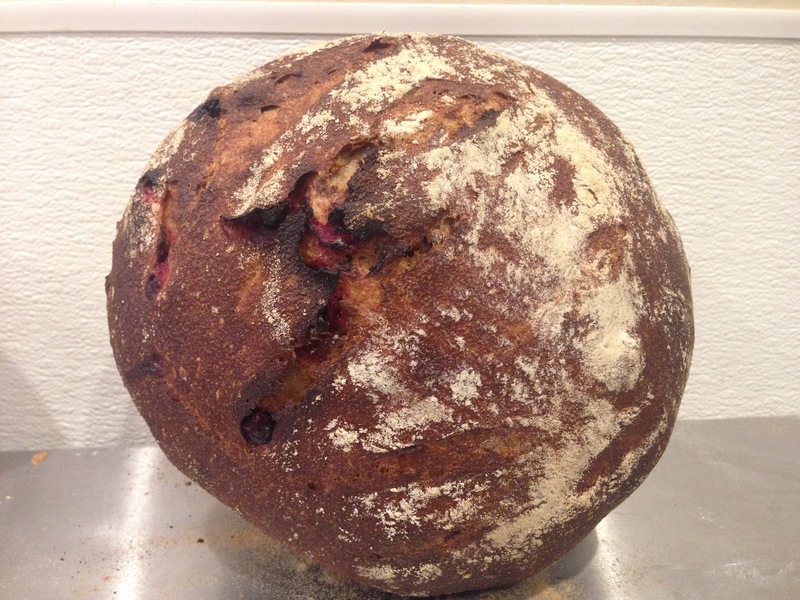 Bread will be available for pickup on Monday mornings after 10am at Manifesto Cafe near Highland Park, or Tuesdays after 11am at the bookstore at Yo San University on the west side of Los Angeles. Q: How do I pay for bread? Well there are several options. You can give me the month’s total by cash or a check on your first weekly pickup, or use paypal here. The cost of the subscription is $28/month. So that’s $7 bucks per loaf of bread. It’s a 15% savings off my regular individual loaves. If you want to order more loaves/week, that’s totally doable too. Just change the quantities option on the page under the ‘Item price’, depending on how many loaves you want per week, or let me know by email/phone. Q: what happens if I don’t want bread one week or am going out of town on vacation unexpectedly (lucky you!)? That’s totally fine! I just ask that you give me 48 hours notice. If it is less than that, I am sorry, but I cannot refund your $7 dollars for that missed week. You see, my breads undergo a very long fermentation process, and thus, I need that notice to put the brakes on your dough’s mixing for that week. Q: do you bake the same bread every week? A: Hells no! We humans need our variety! But I do try to keep it healthy and local. So usually each loaf is a mix of between 2 and 5 organic whole grains. Sometimes I might add some nuts or seeds or cranberries or tangerine peel or olives or cinnamon and raisins. Oh my! So if you have any allergies, or just can’t stand something (Ahhh! Walnuts!!!! ), then feel free to let me know when you first order. Q: what if I forget to pick up my bread? Do I still have to pay for it? A: Yes. Because if I didn’t hear from you, then I will assume that you are looking forward to and craving that fresh loaf, and I will have spent a long time making it for you. That’s why it is super imperativo to give me that 48 hour notice on a skipped loaf. Q: How can I skip a week? 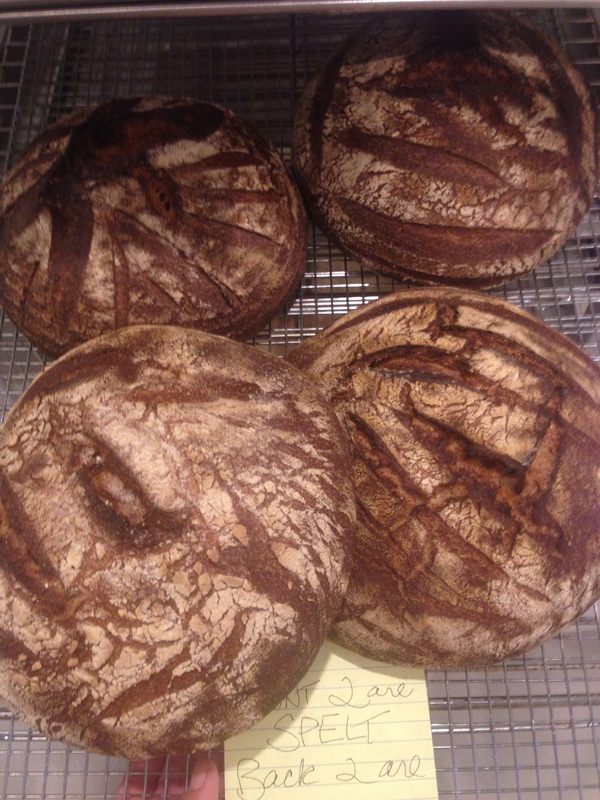 A: Simple shoot me an email at cultureyourbread@gmail.com or call me at 323.513.3431. And respect the 48 hour window please. If you have already paid for your month, I can refund your $7 when I see you for pickup, or am happy to send you a check by mail. Q: Hey, what if I think the bread is crappy?! A: I will admit, I am still learning about this whole baking thing more and more everyday. That’s what keep me going. But these loaves are living, breathing organisms (no joke! ), so sometimes I can muck some something by accident. It doesn’t happen often, but I am an perfectly imperfect human! If you find that this is the case, please let me know and I will make you another loaf at no extra cost to you, or give you your money back. Q: What if I want to quit this bread subscription? Or renew it? A: Well, it would make me very sad, but I will understand! Just shoot me an email (cultureyourbread@gmail.com) or a text/phone call (323.513.3431) and let me know. But if you want to continue to renew it each month (this will make me very happy! ), then you simply have to email me and let me know, or you can auto renew it on paypal again, using the same process you initially did to set it up (if that’s how you roll). So there you have it! Your very own Bread Subscription. I am very excited to have you on board! Please don’t hesitate to ask any questions. My goal is to begin the first week of February, so please get your questions or orders in when you can. I look forward to baking for you! 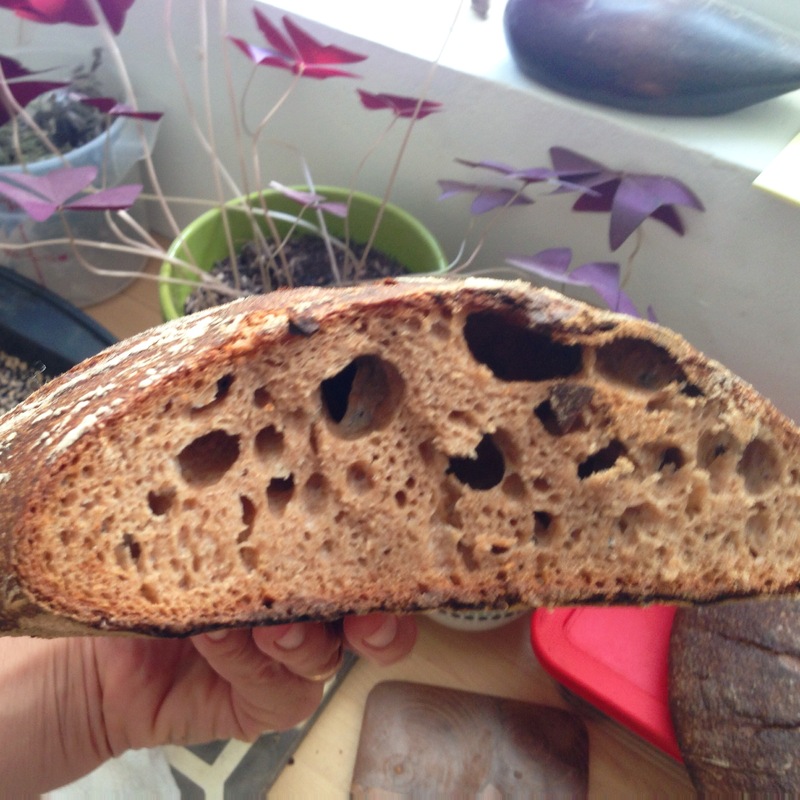 A few pics of some of my wilder loaves. I am into the rustic look lately!